The Danish Govt. under the Danish Green Card Scheme calls for certain skilled workers to live as well as work in Denmark. This visa is pass which lets you become a part of the European union. Like Canada as well as Australia, Green Card Scheme for the job seekers does follow the point based system. The minimum point needed is 100. It is calculated considering varied factors such education, age, work experience , adaptability, financial proofs and language. The points based system has separate requirements for the professionals with graduate degrees from Indian and Pakistani Universities. So, in case you are from either of the two nations, check the Danish equivalent courses because it has direct impact on the point score. 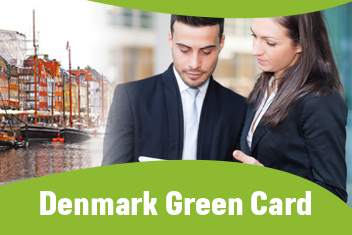 The Denmark Danish Green Card Scheme Consultants in Hyderabad would help you to immigrate and having stated that, Denmark is enticing nation and it invites the high skilled migrants in order to full up the vacant positions in order to reduce the shortage of the skilled professionals. 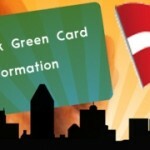 The Green card scheme is still open. The changes might soon happen in the days as well as weeks to come. So make most of the opportunity and file the immigration petition in order to migrate to Denmark now. Extra points if your qualification falls under the shortage of the qualified professional mentioned in the positive list. Bonus points if they have studied a Bachelor’s Master or PhD from the world’s top universities. To know more details on Denmark Immigration Points Calculator as well as Danish residence permit you can contact best visa consultancy. 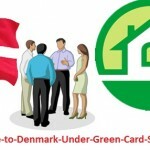 Denmark Immigration Danish Green Card, Denmark Green Card consultants in Hyderabad, Denmark visa information, Green Card Scheme, residence permit, Work in Denmark. permalink. I am a graduate, looking for Denmark Work Visa. Is there any best Danish Visa Consultant?